Ottawa's municipal election is fast approaching, and residents of our ward will have an important choice to make on October 27th. 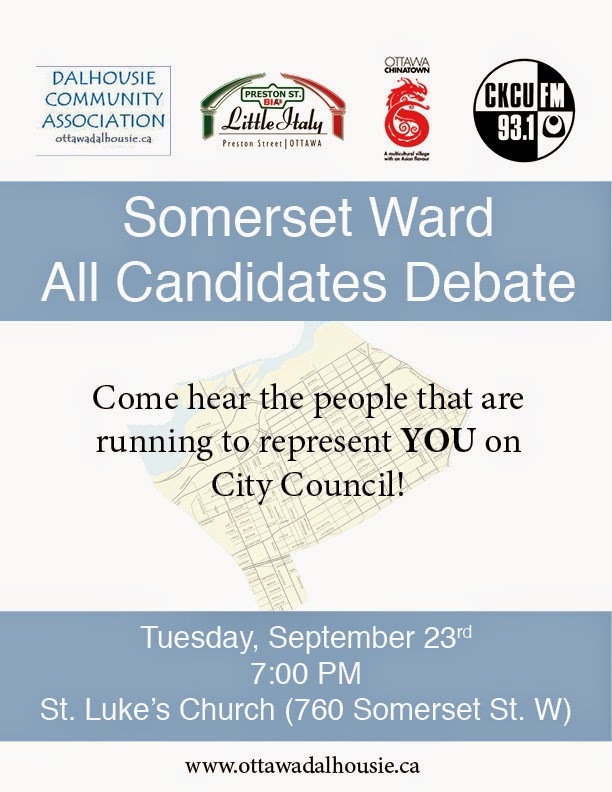 To help you in that process, the Dalhousie Community Association, in conjunction with the Preston BIA, Chinatown BIA and CKCU FM will be hosting an all candidates debate on September 23rd at St. Luke's Church. Doors open at 6:30 and the event begins at 7pm. There are 10 people running to represent us at City Hall, and the person that's elected will play an important role in shaping our community for years to come. This is a great opportunity to see what the contenders have to say.